Technology has become an integral part of life, and in real estate, it has become an indispensable part of my work. It’s so convenient now! With a few taps and clicks I can schedule meetings, set reminders, take great photographs, and even understand or learn a few words from a language I don’t speak at all. In many ways, technology has made my job easier and even more organized. And that statement rings true with these 8 smartphone apps I’m about to share with you. Who knows? These apps might positively affect the way you live and work as well. You might have encountered the saying, “a picture is worth a thousand words, but a video is worth a million.” It’s quite true in real estate, especially with all these innovative marketing strategies saturating the market. Whenever I get new listings, I immediately collect professional photographs of the properties and turn it into an attractive video by using Slideshow. With just a few taps and edits I can easily make a presentation, upload it online and on social media, and give prospective buyers a virtual tour of the properties. Aside from how convenient this app is, I love that Slideshow’s user interface is easy to understand. Best of all, it’s free! Real estate involves a lot of paper work. Thanks to Camscanner, I can easily take photos of documents, turn them into PDFs, and upload them on my file-sharing networks such as Dropbox and Dotloop. Since they’re online, my team and I can easily access all the files we need wherever we are. It’s awfully convenient, especially if you’re running around the whole day to attend to different clients and meetings. Camscanner is a free app and is available on the Apple Store and on Google Play. When you’re constantly on the go, the likelihood of forgetting or losing something is pretty high. Through the use of Tile and its partner wearable device (which I put on my key ring), I can easily keep track of where my phone or my keys are. For example, if my keys are nowhere to be found, I go to the Tile app, which locates it. If my phone, however, is lost, I simply press a button on my key ring and tada! If you’re an Android user, you can download the Tile app here. I have several photo editing apps at my disposal, but Instasize has proven to be most useful. I can take photos and create collages, edit pictures and apply filters, and even resize professionally taken photographs, which are often quite large in terms of file size (and therefore takes some time to upload). It’s also available for Android users. As much as I love makeup, sometimes you just don’t have time to put yourself together. Photo editing apps such as Perfect365 and Facetune have special controls that basically give virtual makeovers. It’s handy whenever I need to make a post on my social media accounts and look put together even if I’m actually not wearing any makeup in person. Perfect365 and Facetune both have Android versions, which you get can here and here. One of the secrets to becoming a successful real estate agent is to keep on top of things. Track My Mileage is an exceptionally helpful app that allows me to track a variety of things, from trips taken to expenses. After regularly feeding it information, Track My Mileage then compiles all the data into a file, which I can then forward to my accountant. It’s a great app, easy to use, and also available on Google Play. If you’ve read my “Day in the Life” blog post a couple of weeks ago, I’ve mentioned that lunch fulfills two functions: it satisfies my cravings and it also helps me get some work done. OpenTable helps me find the best restaurants for lunch and other business meetings, depending on the matter to be discussed and other factors. If it’s a simple team lunch I can easily located a casual eatery offering good food. If it’s a meeting with a big client, OpenTable helps me locate a restaurant that will help me seal the deal. You can also download OpenTable for your Android device. Metro Atlanta attracts a diverse group of real estate investors from different parts of the globe. It’s paramount to make them feel that Southern hospitality. But when there’s a language barrier, it can be quite difficult. That’s why I love Google Translate. It has three different modes– text, translate as you type, and conversation– that lets me understand and communicate with foreign investors in their native language. Google Translate is also available on Google Play. 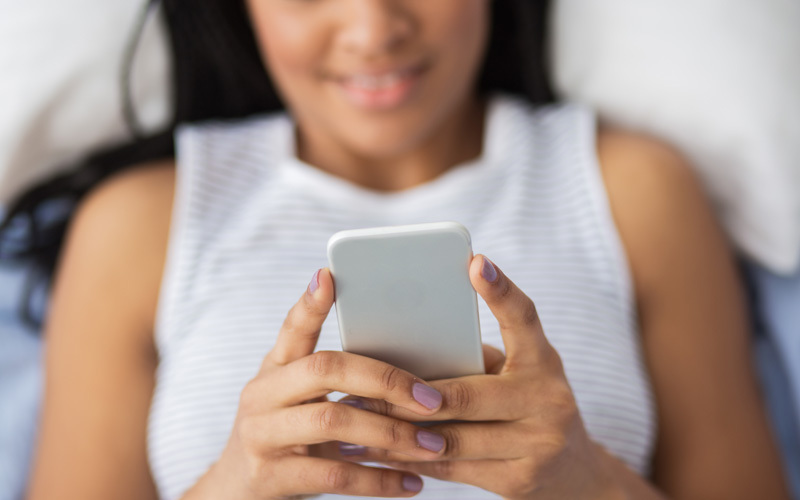 With all the advancements being made in technology every day, I’m sure more apps that will be helpful to both work and personal lives are constantly being developed. That said, although these apps are convenient, I still think it’s best not to be too dependent on technology. Feel free to share your favorite apps and tell me what you think about technology and how it’s changing the way we work and live. I can’t wait to hear your thoughts!